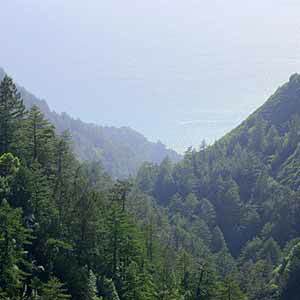 From Highway One, a perfectly straight line cut into the steep scrub-covered hillsides above Pfeiffer Big Sur State Park is clearly visible. 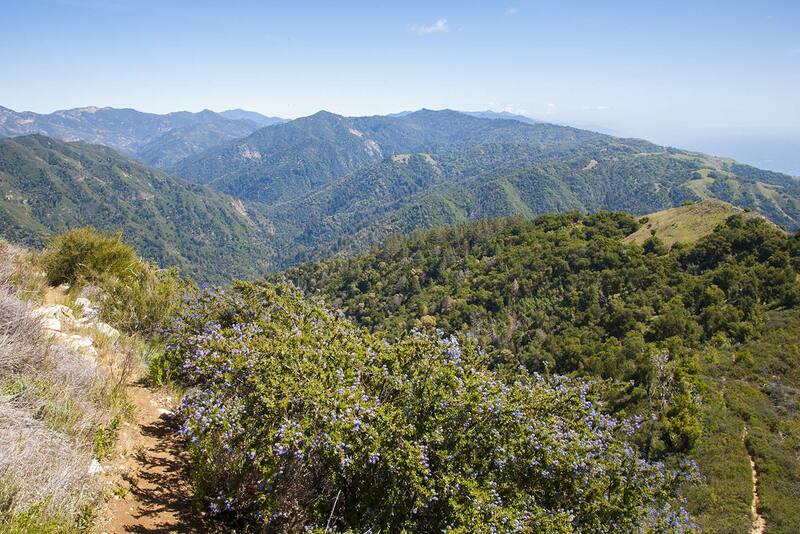 This is the Mount Manuel Trail, an unrelenting 3000-foot climb from the Big Sur Valley floor to the top of a ridge that separates the Big Sur Valley from the South Fork Little Sur Valley to the east. The trail, also known as the Manuel Peak Trail, is evenly graded pretty much from the parking lot to the ridge. Maintenance is irregular and trail conditions can vary greatly from month to month or year to year, especially on the last two miles of trail. When I last hiked it the trail was in reasonable condition and, except for the huge elevation change, the hike was actually pretty easy. 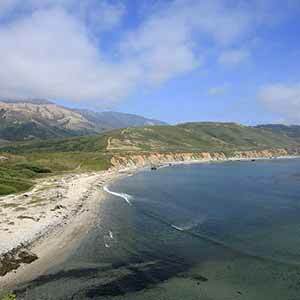 Nonetheless, expect to push through some brush and encounter some poison oak and ticks. Most of the trail is cut into steep slopes at dizzying elevations, but because the trail is lined with 3-5 foot tall scrub it doesn’t feel particularly dangerous. This hike should be avoided during the summer. 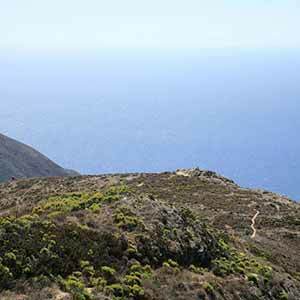 Most of the long climb is brutally hot and shadeless, and the folds of the mountain block the ocean breezes. It can get very hot along the trail even when forecasts call for temperatures in the 60s. Because of ticks, poison oak, and encroaching brush it’s not a good idea to wear shorts. 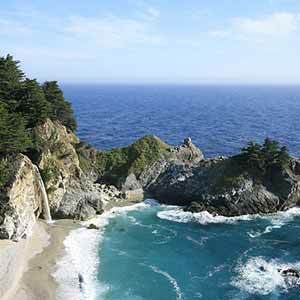 The trail offers some nice views of the Big Sur gorge as well as the Little Sur Valley. 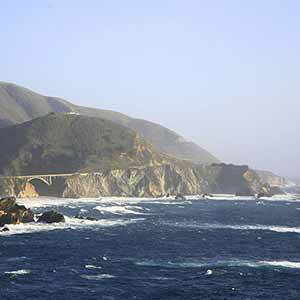 The coastal views are a little disappointing, since the coast is hidden and the most promiment features are some large hilltop developments on the other side of the Big Sur Valley. 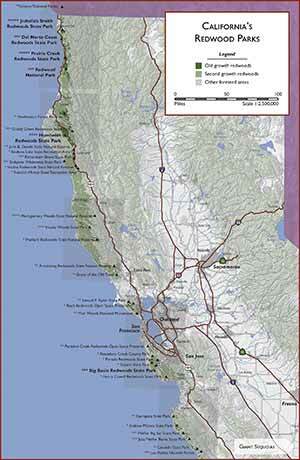 The first two miles of trail are very well-maintained, a perfect foot-wide strip of dirt. After leaving the Oak Grove Trail behind, the Mount Manuel Trail switchbacks several times up the hillside and then turns the corner, revealing an impressive view of the Big Sur River gorge far below. A long stretch of the trail is visible in front of you, climbing at a daunting angle up the hillside. 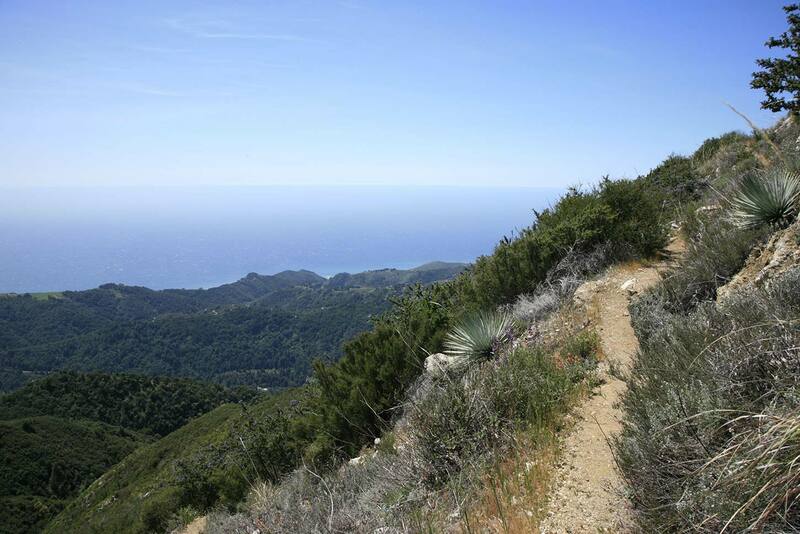 After a long climb the trail turns a corner and new vistas of the Santa Lucia Mountains come into view. 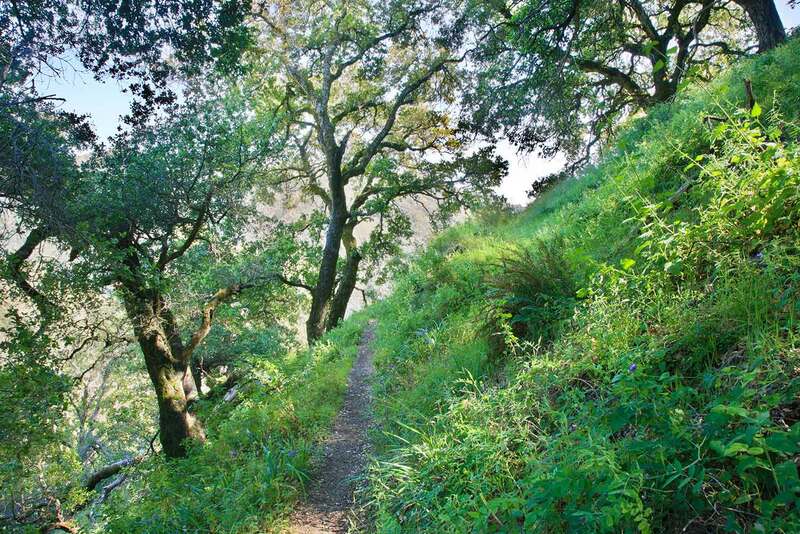 At this point the trail becomes rougher, with brush and some poison oak overhanging the trail, and in places a rocky, uneven tread. Soon the trail enters the first of three wooded areas, a welcome break from the sun. 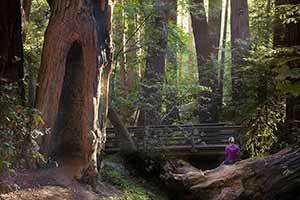 There are a few redwoods near the end of the first wooded area. The final wooded area is an open forest of oaks. 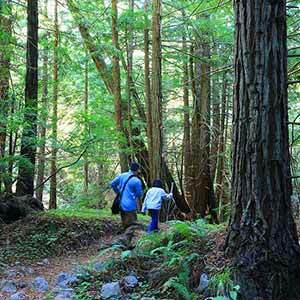 This grove ends when the trail reaches the ridgetop, where the Pacific Ocean comes into view. A short stretch along the ridge is followed by a few switchbacks with some nice views to the west and south, and then you’re at the false summit. A spur trail leads to the false summit, which is capped with some rocks. The best views of the hike are from this summit and another rock outcropping just below the summit. The false summit is the normal turnaround point for this hike, but hikers who want to reach the true summit can push on for another half-mile. North of the false summit, the trail becomes almost invisible and densely overgrown with brush, although it’s also fairly level. The trail passes over a series of five little hills (including the false summit) before descending along a ridge on its way to Post Summit. The second hill, at 3379 ft, is often marked as the summit of Manuel Peak, but the fourth hill, at 3554 ft, is higher. 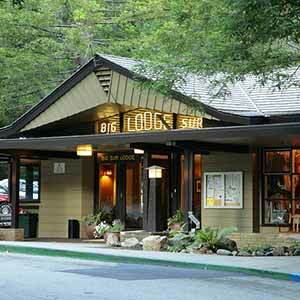 All the hills are broad and screened with six-foot-tall chaparral, so there are no views to speak of. The fifth hill offers some views to the north. Continuing on to the fifth hill makes this a 10.8 mile hike with 3220 feet of climbing. 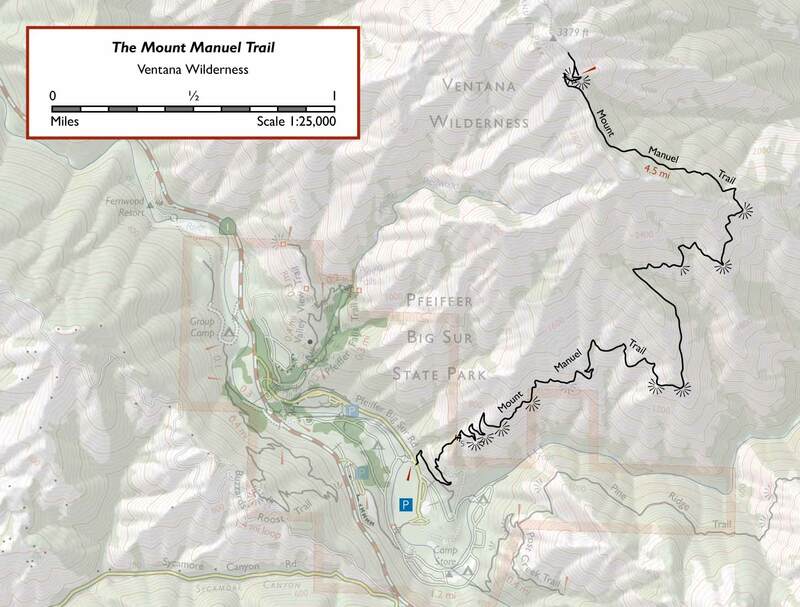 The Ventana Wilderness Alliance’s Manuel Peak page has user-submitted trail condition reports. Since the trail isn’t regularly maintanied, it’s a good idea to check this page before going. 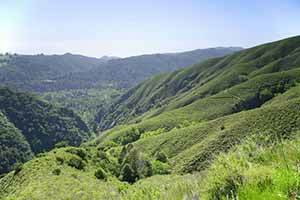 Bob Burd’s website has an entertaining account of a 2003 hike up the Manuel Peak trail, over Post Summit, and down the East Molera Trail. The Manuel Peak Trail has been cleaned up considerably since that time. John Fedak’s website has photos from his hikes of the Manuel Peak Trail in 2005 and 2006.